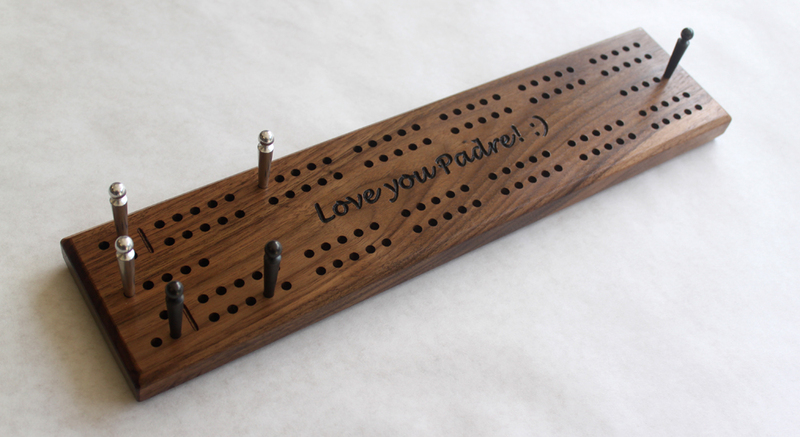 This is our two track Prince cribbage board. It is 3 inches shorter than our 18" King boards. The board is 15" long, 3.5" wide and 3/4" thick. 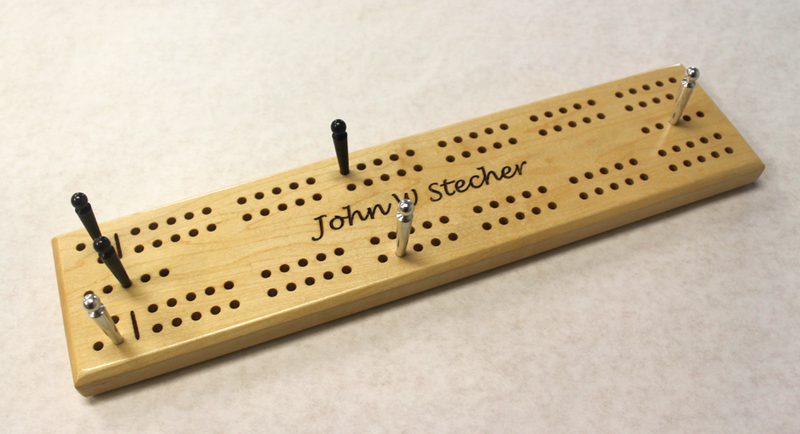 This board comes with engraving on the front included as standard. This board is designed to make play easy for those with limited vision or trouble grasping and moving pegs. After sanding smooth, this board is brushed with shellac. 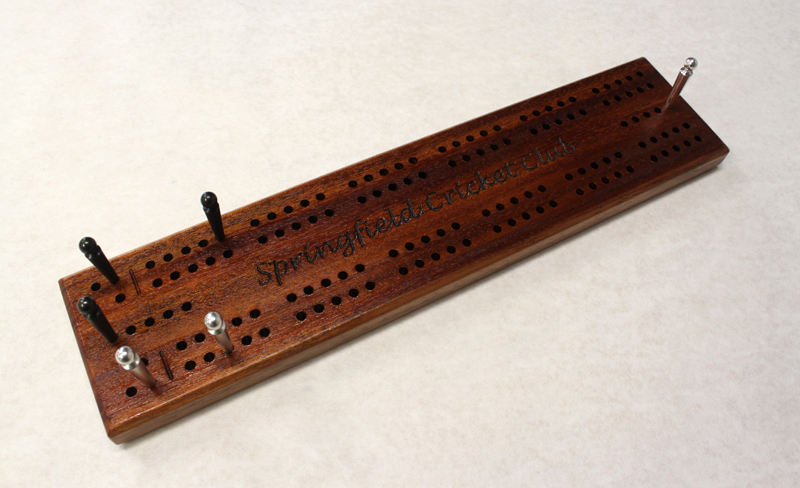 Each hole is 3/16" in diameter, and the board comes with six Giant sized 2" long metal pegs. They live in a pocket in the back of the board, secured by a sliding brass plate. This way, you'll never forget where you put your pegs!